There are so many types of eye makeups, how do you know which products are right for you? From under eye concealer to eyeliners, Cosmetic Cosmos can help you find the right eye cosmetics for you! We have an abundance of eyeshadow choices including eyeshadow kits, eyeshadow paintwheels, pie shadows, triple split eyeshadows, dimensional shadows and single shadows. We have eye shadow palettes in a wide assortment of colors, so we guarantee you’ll fall in love with one of our eyeshadow colors! Our under eye concealers serve multiple makeup purposes. Use these fantastic concealers under your eyes to diminish dark circles with none of the creasing or the caked on look you get from other under eye concealers. 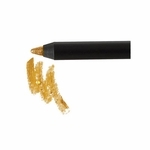 You can also use our under eye concealers as a lid primer to keep eye shadow from creasing. 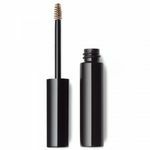 Cosmetic Cosmos brings you a variety of eyeliner choices including German eye pencils, gel eyeliner and liquid eyeliner. Our eyeliners come in a variety of colors, and many are waterproof! 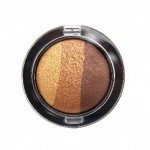 You can find all our colorful Cosmetic Cosmos eye makeup products online at CosmeticCosmos.com. ALL PENCILS ARE BUY TWO GET ONE FREE! SIMPLY INDICATE IN MERCHANT'S NOTES THE FREE COLOR YOU WOULD LIKE!